Paper Pumpkin Promotion – First 2 Months 1/2 OFF!! I just received my August Paper Pumpkin and can’t hardly wait to put it together. I love the surprise of the projects and cards. I enjoy making cards and treats for the teachers at our school. It brings me great joy to put a tasty treat or surprise in their mailbox. If you’ve never tried Paper Pumpkin, now is a great time-get 50% off your first two months!! Use the code HALFOFF to join Paper Pumpkin before September 10, 2015, and get 50% off the first two months! After that, you can keep the creativity coming month after month for only $19.95 + tax per month (shipping included). To join visit PaperPumpkin.com! I’d love for you to select me as your demonstrator. In order to do that you’ll need to search my city Huntersville, NC or my Zip Code 28078. If you have any troubles please let me know I’m happy to help and sincerely appreciate your business. Paper Pumpkin Q & A – Click Here! 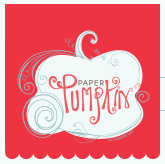 Ok, I think that this is a good time to subscribe to Paper Pumpkin with the 50% off for first two months. Do I need to join PaperPumpkin.com or can I subscribe on my Stampin’ Up account? Thanks for your time and assistance.